My go to has always been Maybelline Age rewind, which I still stand by, but I find that in the winter months even their lightest shade is too dark for me. 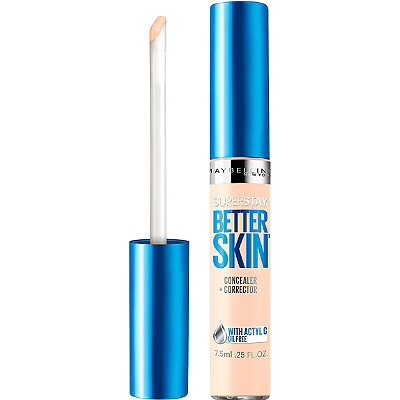 For these pale months I have switched to Mayblline better Skin concealer in the lightest colour ivory. This colour is PERFECT it brightens and highlights with out being ghostly. And blends so well with my foundation. The bad: it does settle into fine lines a bit, so ‘baking’ with loose powder is necessary for me. Worth checking out if you can’t find the perfect pale shade to highlight with.